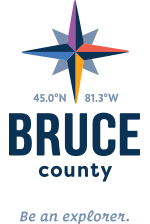 From Sauble Beach to Point Clark, the Lakeshore region must be the fresh air capital of Bruce County. How else to explain all the culinary offerings available to the gastronomic explorer? Our plentiful beaches and watersports help to burn off calories that need regular replenishment. After a day digging in the sand, adventurers dig into inspired dishes featuring local Bruce County beef, Lake Huron’s White fish, sun-kissed fruits and vegetables and some of the best baking and homemade treats in Ontario, inspired by our Mennonite and family farm heritage. After a day on the beach, there’s nothing better than celebrating a spectacular sunset with a great meal at Sola's Grill. This busy patio is the ‘it’ spot on the beach for people-watching, sunsets and live music. Kid-friendly, there’s also indoor seating for rainy days or for those wanting to get out of the sun. Popular with locals, arrive early or expect a wait. Established in 1915, the Walker House is one of the original buildings in Southampton. With a long history of hospitality, you’ll make yourself right at home. Weather you feel like cheering on your team in the energetic sports bar, or would rather enjoy a quieter meal with a fireplace nearby, the Walker House is always accommodating. Explore the extensive menu featuring Lakeshore region family-style cooking with favourites from Lake Huron White Fish to blackened perch and daily mussel specials. The focus might be modern Italian, but the seasonal menu at Restorante Rosina features fresh local Bruce County ingredients. Like the distinct 4-seasons enjoyed by explorers to the Lakeshore region, features are changed daily so you can choose a new experience upon each visit. A day exploring the shoreline makes one hungry for fresh inspiration. With desserts made daily onsite, the end of your meal will live up to the same promise of your days. You might want to discover this popular Kincardine saloon because of its name. If adventure is a hallmark of the Bruce County experience, be prepared for a dining experience that’s unexpected, but familiar at first glance. The Hawg’s Breath is where scenes from Jaws 2 were filmed. Known for its generous portions, the Hawg’s Breath features fresh, inventive flavour combinations on tried and true favourites like daily sandwich specials. Drop by for a drink or a meal. The only thing that may disappoint is not getting a table if you don’t come early. If you're looking for some fun places to explore along the Lakeshore, visit here.